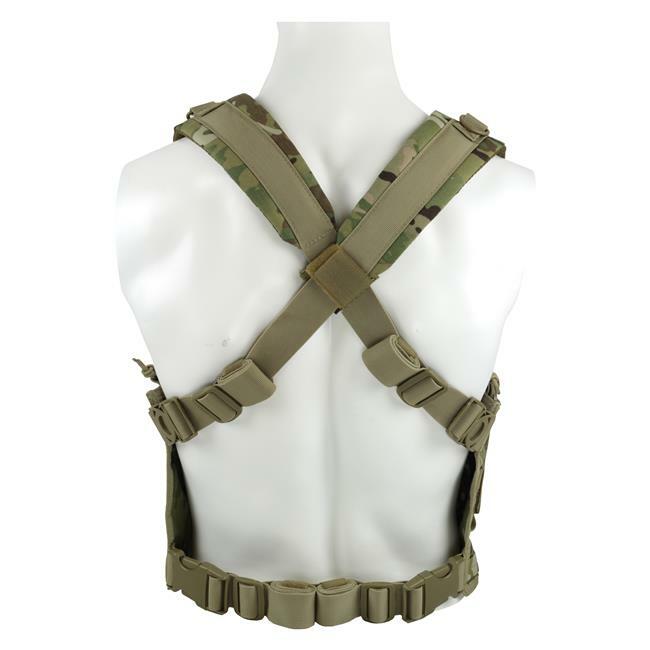 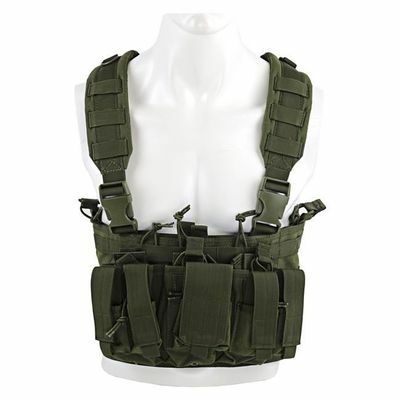 The adjustable, customizable Chest Rig is completely versatile to cater to your mission. 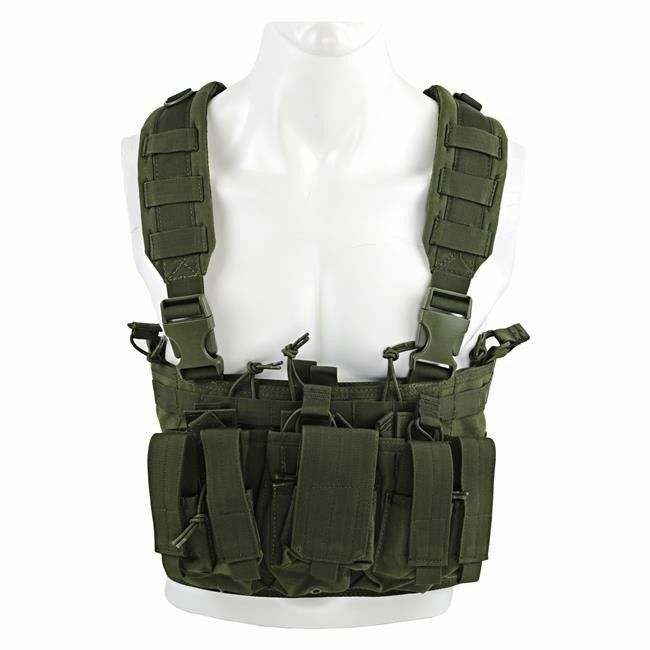 Its simplistic design is ideal for operators using an AR/pistol combination. 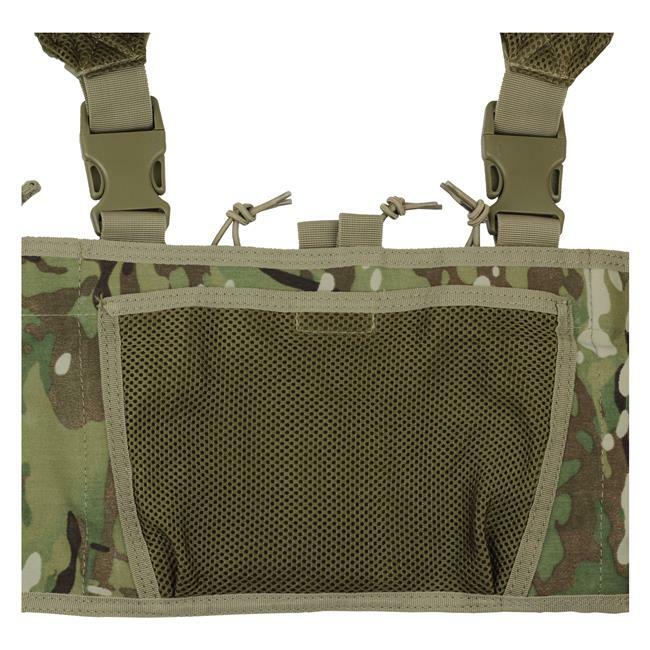 Four rows of webbing on each side, metal D-rings and fast-clips can be found throughout the design to assist with any attachment needs. 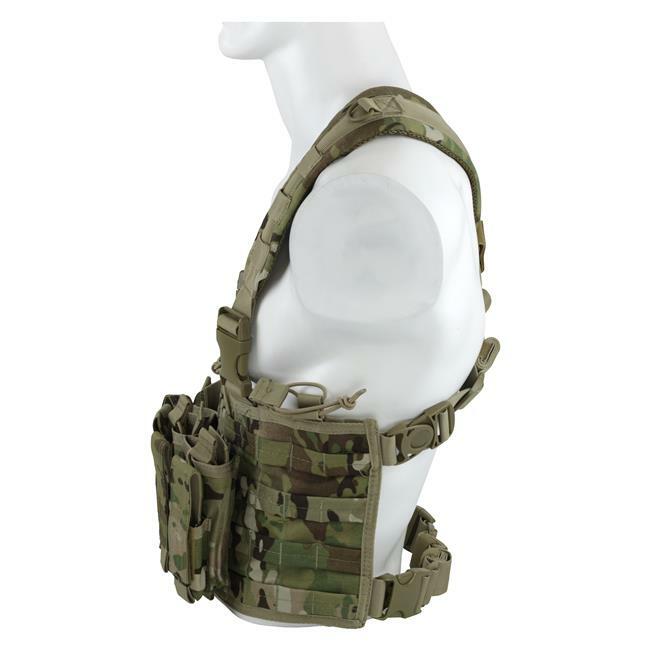 Keeping comfort in mind, the Chest Rig also features padded straps with a mesh lining for optimized breathability and a customizable fit to ensure the rig won't bounce around when you're on the move.